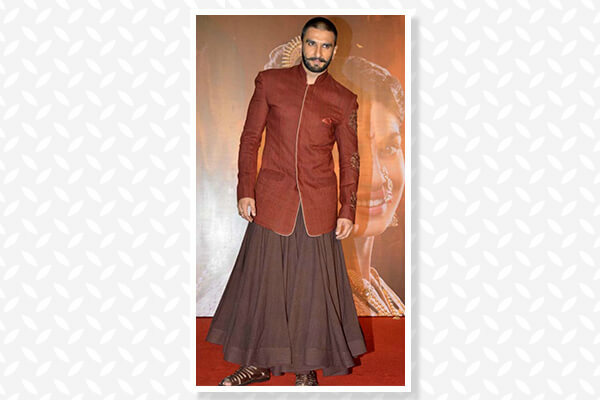 Ranveer Singh doesn’t take the conventional route when it comes to wardrobe choices. From challenging gender dressing to making PJs work at an award function, RV is quite the king of quirky style. Don’t believe us? 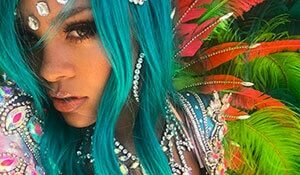 Here’s a roundup of pictures to prove just that! Men—they steer clear of florals but not Ranveer. He wore a floral printed blazer in the form of a suit and worked it like he always does. 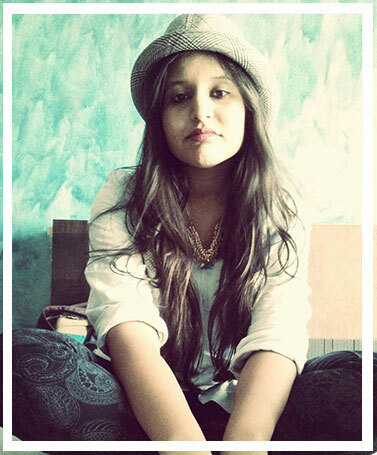 Here’s a guy who embraces androgyny beautifully! 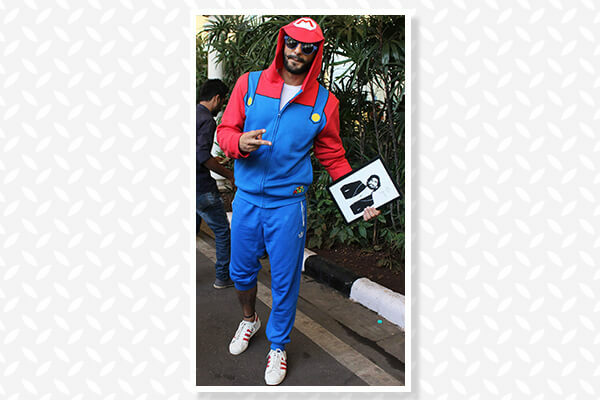 Not too long ago, Ranveer wore a Super Mario outfit and fashion critics didn’t create a noise about it. Well, that’s because RV knows how to make bizarre work. RV took casual to a whole new level, that too an award function, when he showed up in his PJs with a robe and a tee that said ‘No f**ks to give’. This guy’s got an attitude that no one can beat! 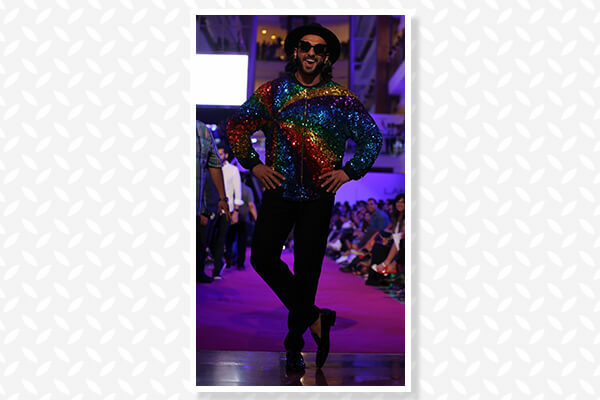 One of Ranveer’s latest appearances—he showed up at Manish Arora’s Lakmé Fashion Week show wearing a sequined rainbow bomber. Nothing shocking; just another day in RV’s cool life. Ranveer embraced the separates trend a while ago when he wore a typewriter print shirt and shorts at a do. Know any other man who can beat him? We surely don’t! A blazer with a long flowy skirt—that’s what RV wore to the trailer launch of his movie. We raised a few eyebrows initially but what’s RV without his quirky style, right? If you know one thing about Ranveer, it is that he likes OTT dressing a bit too much. What might be bizarre to you is perfection to him. Case in point—this look where he wore a black skirt with a black shirt and blazer. Seriously, RV, can we have your cool aura around us too? If you thought that only Marc Jacobs could pull off a kilt, RV seems like the only Indian man who can give him tough competition. The actor showed up wearing a kilt to the GQ awards some time ago and boy, did it have us swooning over him or what!